DO NOT FIND THE DESIGNER GLASSES YOU ARE SEARCHING FOR? Chances are, we do not carry the designer brand glasses that you are looking for. Our response – we do not carry them because we strive to offer amazing style & premium quality at a reasonable price! There are plenty of stores that sell premium designer glasses that cost more than you EVER need to spend on eyeglasses. They cost more because those companies spend significant advertising dollars telling you why you need those glasses, to be happy and cool. We will leave that decision up to you! We offer equal or superior quality to most designer glasses you see in the market. 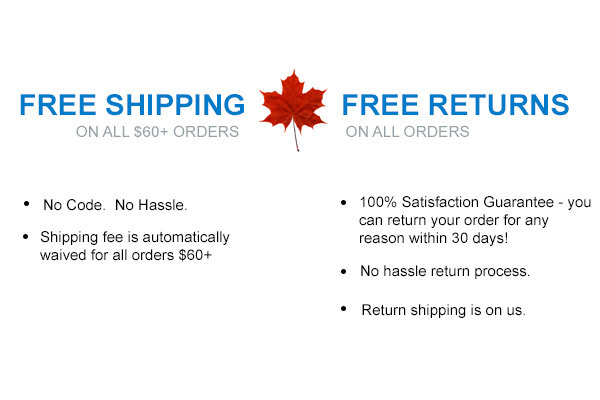 At iLookGlasses.ca, we stand behind our products with a 100% Satisfaction Guarantee & 365-day warranty against manufacturers defect. 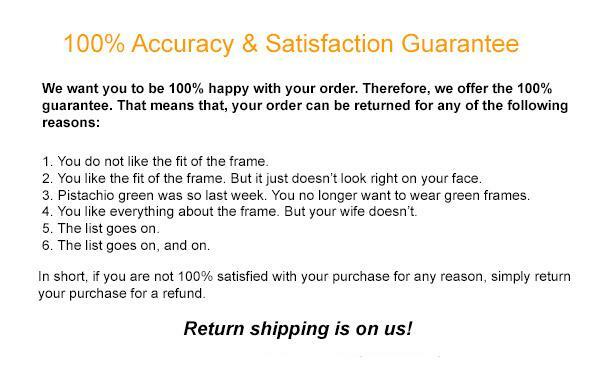 We are certainly not the least expensive in the online glasses world, either. We cannot speak for ads that promote prescription eyeglasses for $6.95. This is what we do know. Our customers are pleasantly surprised (or shocked, really) that the quality is on par or superior to their last pair that cost 2 to 3 times more. Our customers are excited about trying different styles & colours because getting new glasses is finally affordable! Our customers are ecstatic that they can finally ditch their old glasses with scratched up lenses & taped up arms and see the world through a new set of lenses! Our customers come back to us and bring their friends and families. Give it a try. Choose design, quality and value over brands! Copyright © 2019 iLook Glasses. All rights reserved.